Exploiting factory workers and fabricating certificates has long been the norm in the textile and garments sector. This piece was originally published on September 18, 2016. Hussain Chowrangi is a landmark in Karachi’s Landhi industrial zone, home to many of Pakistan’s household brands in textiles and garments. It is also my rendezvous point with Ahmed, a school teacher who lives 10 minutes away, in Muzzafarabad Colony. Ahmed is hosting tea today for a few industrial workers of the area and I had also been invited to hear their grouses about those who employ them. Ahmed used to be a managerial-level employee at one of Pakistan’s household textile names. He quit his job a few years ago and started working as a teacher in a government school. Hailing from a relatively well-off family, this school teacher has assumed the role of a whistle-blower of sorts. A well-respected man in his locality, young factory workers often turn to him for counsel. “You will notice that nearly all factories are barricaded behind high walls and private security guards,” says Ahmed. Indeed, even though the bumpy ride to his house is only 10 minutes long, nearly all factories en route show prison-like security. “Why is it so?” I ask. “The workers will tell you,” he says with a smile. Soon, we turn into a street in Muzzafarabad Colony before Ahmed lets outs a sigh of relief. The lane where Ahmed’s house is situated is far removed from the stench of trash and the torture of traffic outside. “This house is not as good as a house should be, but factory workers can only dream of owning such a place,” he says. The house is Ahmed’s family home. His bedroom is small but well-lit. On one side of the room are a personal computer and a flatscreen monitor. His phone is connected to the speakers via bluetooth so that he doesn’t need to get off his bed to play his music. Inside, a group of workers is already huddled in a discussion. “If you are on contract and you make one mistake, you can be fired,” blurts Rafique, who must not be more than 24 years of age, almost immediately after we have settled down. The situation they describe is that of what they call ‘contract workers,’ whereby one is not hired directly by the company where one works but through third-party contractors. The permanence of these contracts is fleeting; workers are hired and fired in a flash, many times without receiving any dues that they are owed. • The industry employs about 15 million workers. • It makes up 54% of Pakistan’s total export earnings. • It is the country’s second largest employer. 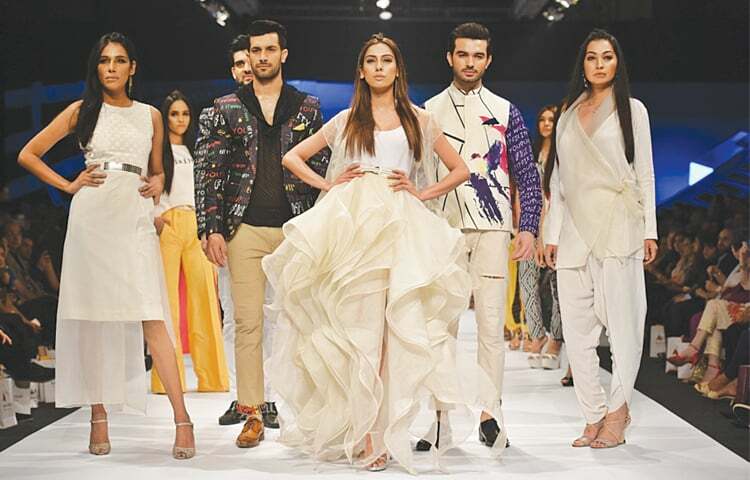 The textile and garments sector gives Pakistan its fashionable brands, with top models displaying their latest collections on billboards all over the country. Many of the factories in Landhi and other parts of Pakistan also export to high street European and North American stores. Workers’ rights violation assumes criminal proportions, and yet, workers have little recourse to justice. In a later conversation at another location, Hasan, who retired a few months ago after working 30 years in several factories, including two of Pakistan’s main textile brands, shows proof of how contractual labour works. In his congested and dimly lit bedroom in a different, yet just as litter and sewage water-ridden, part of Landhi, he asks his son to lay out the cards from all the places he has worked. Except for one - a French clothing company that operated in Pakistan in the 80s - none of the factories had their names on the employee cards. But there is a reason why factories don’t hire – or if they do, it’s mostly only for the upper management staff – on their own. “Sidestepping legal requirements,” in the words of labour lawyer Manan Bacha. “The crux of the system is that workers are hired by factories through contractors and are offered no proof of employment,” he argues. Jahangir Azar, former assistant director of the labour department, corroborates these testimonies. Sitting in his Defence office of a consultancy firm that advises the government on privatisation, Azar asserts that “appointment letters is where there is the least compliance” in factories. What is referred to as ‘contract work’ by the workers is, therefore, “no contract” work for all practical purposes, as Bacha calls it. This is a situation that even factory owners acknowledge. “We outsource hiring because it is too much work. 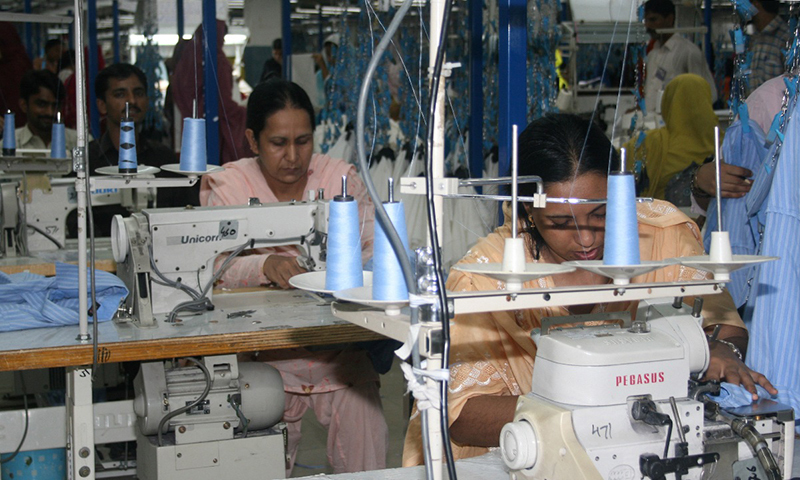 We cannot do everything on our own,” says Shabbir Ahmed, CEO of textile company D.L. Nash (workers of this factory were not interviewed). Sitting in his company’s claustrophobic head office in Keamari, he points out, rather defensively, that this practice is the norm, and that every major name in almost every industry, nationally or internationally, does it too. “When we have an order, workers can work for one week and then they can easily switch over [to somewhere else],” he adds. “As per the law, the only instance when hiring labour on ‘contract’ is allowed is when there is a production order that requires labour to work for a limited period of time,” points out Bacha. For a one-week period, a factory would be justified in hiring temporary labour. But factories don’t work on a per-order basis, especially the big names that cater to the local market rather than exporting; production goes on throughout the year, 24/7. Even during Ramazan, production does not stop. Ali, another worker who drops by Ahmed’s house to tell me his tale, had to resign from his workplace as he could not fast and do hard labour at the same time. “I don’t care if you fast or not, I want production,” is what his manager told him. After being employed at a place for three months, the law demands that a worker should be made permanent. 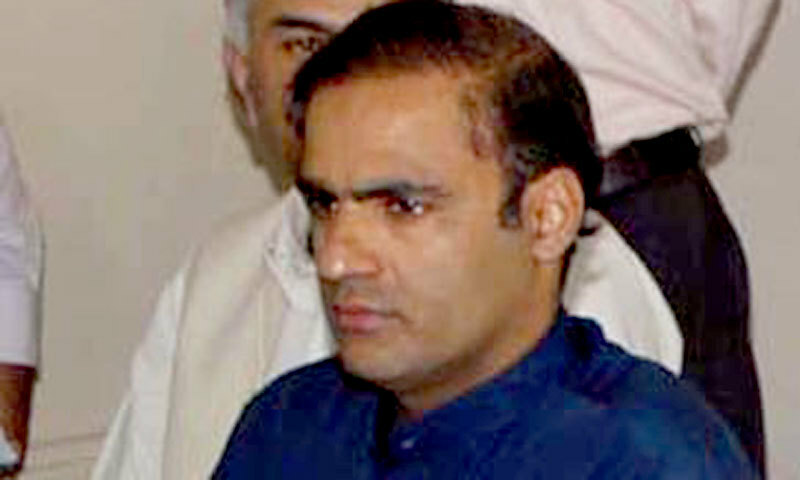 Other than that, ‘contract labour’ was declared null and void by the Sindh High Court around 10 years ago, according to Bacha. It is actually temporary labour that is being used on a permanent basis by factory owners. Added to the state of permanent temporality, labour is made anonymous and taken off the company’s books through sub-contracting and outright contraventions, resulting in the precarious labour conditions that workers describe. “Temporalising labour and taking them off the books means that the factories don’t have to pay for a worker’s gratuity, retirement, social security, medical, etc,” explains Dr Akbar Zaidi, one of Pakistan’s eminent political economists. Workers don’t hold back when detailing what’s happening to them. “Right now is the time for year-end bonuses, and they are looking to find someone make a mistake so that they can fire them,” chimes in Rafique about his factory. There’s an added dimension to Rafique’s predicament, as well as Hasan’s when he was working: they work on piece rate and earn daily wages. But this is a two-edged sword. While piece rates might pay more, tailoring workers’ remuneration in such a manner adds to their insecurity since this mode of payment takes away the surety of guaranteed end of the month income. Azar, while agreeing that “workers can take home some more money” on ‘piece rate’, also concedes that it comes at the cost of worsened wage insecurity. Payment is tied to production to such an extent that Rafique gets paid for 26 days in a month only. “Four days are cut for the Sundays.” He does not get paid holidays either, nor paid sick leave. Once he had a bike accident and had to stay home for 15 days and didn’t get paid for those 15 days. Is payment also withheld if a worker gets hurt in an accident on the production line? “We know a worker who did not get anything [after his accident],” explains Rafique. The consequence for the worker - and benefit for the factory - is that your “bonus and salary stops right at that point,” says Rafique. When asked how much a worker earns on average, Motivala says: “We are paying above the government-appointed minimum wage of Rs14,000. Workers across the board are earning between Rs20,000 – Rs30,000.” Mr Shabbir also gives similar figures. Talking to workers, however, it would seem that these figures are exaggerated. They claim that they are remunerated in paisas and given production targets each day, which pays them Rs400-800 a day. While Motivala admits that workers are required to put in several overtime hours, he says that the money workers take home can be higher if they do work the extra hours. But is the remuneration, especially the minimum wage, enough for workers? • The labour costs are between five and eight percent of the total production cost. • Meanwhile, import income of this sector stood at $12.5 billion in 2010-11, according to the Federal Board of Revenue (FBR). Workers have an acute sense of not being given their due share. “Jaan marna” and “jaan dai dena” [implying killing oneself] are two phrases commonly thrown about when they describe how hard they have to work every day to earn the little they are. Do the workers not protest? “For what will they protest? If they protest, they’re fired. Who will feed their families?” retorts Rafique. “If someone says anything, they kick them out,” adds Khalid. But since factories don’t issue letters of employment to workers — a violation of the law in itself — they can fire them anytime without any consequences. Workers can’t take their complaints to court since they can’t prove that they are actually employed at the factory. “Courts will first of all ask if you have been a worker at this factory. They will tell the worker to provide evidence and the worker won’t be able to prove his identity as a worker,” says Bacha. But do the courts not know the situation inside factories? “Our courts are courts of evidence, not inquiry,” replies Azar. Bacha adds that there are thousands of such cases just languishing in courts. Indeed, the labour courts in Karachi’s Saddar area wear a deserted, desolate look: no sign of lawyers or judges, and given the dust on the benches, it looked like nobody had been inside the tribunal for a very long time. • 779 stoppages in 1972, but progressively going down to only 78 in 1978. The state resorted to repression to counter labour agitation, according to Dr Zaidi. • The most iconic moment came in 1972 when striking workers at Dawood Mills in Landhi were shot at by the police. By the time Zia-ul-Haq came to power, unions were a spent force. When Zia took over and industries were denationalised, Bacha claims that factory owners opted for the ‘contract’ system in order to make sure that unions could not be formed again. Just as workers can’t submit proof of employment when they go to court, they can’t register their unions since that also requires proof that you are working at the place where you are forming a union. “The registrar will ask the factory if these workers are your employees and the owners will refuse to claim them as their workers,” concludes Bacha. 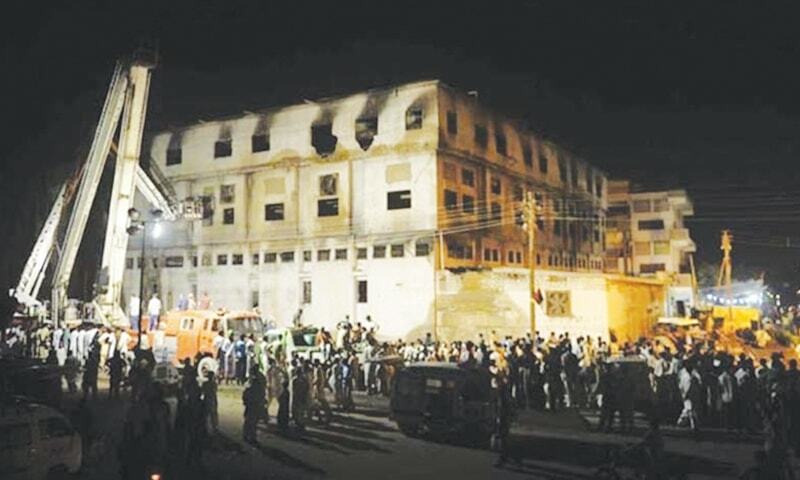 On September 11, 2012, over 250 workers were burnt alive in Karachi’s Baldia Town area as their multi-storey garment factorybuilding was gutted to ashes in what is believed to be an act of arson. Till now, more than four years later, justice has not been dispensed. “They were storing chemicals in the basement, while all their exits and windows were sealed,” claims Ali. If the courts are unable to dispense justice, what about the labour department which has the authority and the duty to enforce labour laws? Is there any real role for international auditors since many of these factories have international certifications? Baldia’s Ali Enterprises, which was gutted in the inferno, was awarded the SA8000 certificate just a few weeks before the fire broke out. The certificate is issued by Social Accountability Accreditation, a US-based body, to companies that are compliant on issues related to labour, among others. Numerous factories in Pakistan have this certificate, which is accepted by the European Union as well. But compliance is a different matter, as money buys corrupt officials of the labour department as well as international accreditation. “You will see these factories displaying all these certificates, but when you go there, you find no compliance,” says Abul Kalam Siddiqui, CEO of Bureau Veritas’ office in Pakistan, one of the biggest inspections company in the world. This company made 4.6 billion Euros last year in revenue, and has the authority to deliver the SA8000 certificate globally, including in Pakistan. 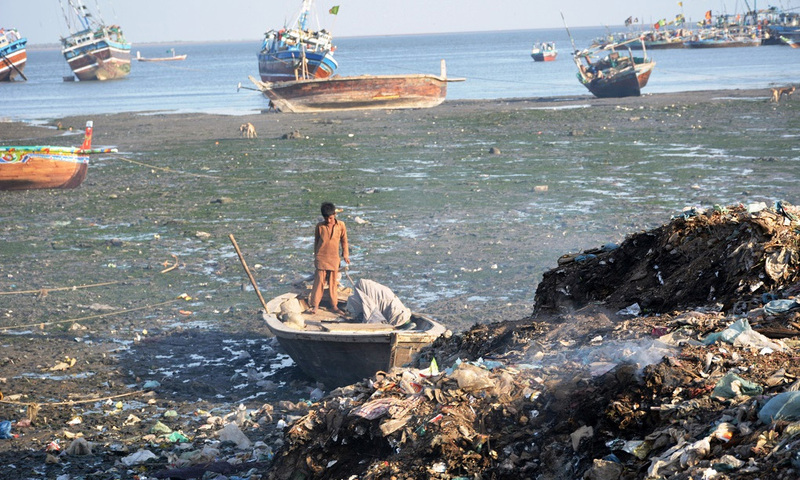 “There is oil and dyes in the open, waste water is going where it’s not supposed to, you should have water treatment plants that you don’t, there is no check on the exhaust emissions, there is no proper bathroom and eating places inside factories, there is no proper lighting, air circulation, there is overcrowding,” says Siddiqui. How can it be that a non-compliant company can get certified? “The problem is that 99pc of the certification bodies are working on the basis of franchises,” Siddiqui explains. How the franchise system works is that a local company buys a franchise from an international accreditation body on revenue-sharing basis. In return, the parent company asks the franchisee to ensure that their standards of integrity, code of conduct, ethics, and standards are upheld. But the pitfall is that there is nobody to monitor the private local auditors. “The regulatory body in Pakistan, the Pakistan National Accreditation Council, does not have the power to regulate these certification bodies and does not have the jurisdiction to penalise anybody. Even the registration of these companies is not ensured,” Siddiqui says. An effort was made thereafter to improve labour conditions and increase exports for the benefit of the country. A policy was also created to subsidise SA8000 certification, whereby the government would pay the certification fee and the auditor’s fee. But lack of monitoring, coupled with the promise of government subsidy, resulted in proliferation of bogus auditors who were focusing on commercial interests. “Within two months we realised that there was something fishy. The consultants who got involved were there to make money. They’d ask for different invoices for themselves, the factories and the government,” Siddiqui narrates. But when his company went to the government and told them to monitor what was going on, the response was cold. “We didn’t realise that it were the guys in the government themselves who came up with the idea that they should form a company and, through it, make some money for themselves by issuing certification,” claims Siddiqui. A genuine auditor would charge US$4000 for the audit and the certificate, but a bogus company would go to the same factory and offer it for US$2000. “SA8000 certification demands that 10-15pc of the workers have to be talked to in absence of the employer in order to know their concerns, but nobody is there to check if the auditors are doing anything,” says the Bureau Veritas chief. Ever since the Baldia fire case, SA8000 certification has been suspended in Pakistan and no new factory has been certified. Siddiqui says that the Baldia factory is the best example of unregulated practices and corruption. It was Rina, an Italian company, which had subcontracted the SA8000 audit to a Pakistani company. “Rina is no doubt a good company,” Siddiqui admits, “but who is the guy who brought the franchise from Rina?” he asks. The oversight is not only intentional but also criminal. Names of factory workers have been changed to protect privacy. All photographs used are for illustrative purposes only. They do not relate to the factories and people mentioned in the article. Jahanzeb Hussain is a Karachi native who has spent a number of years living, studying and working in Montreal, Vancouver, and Paris. He has a degree in public policy, and is currently working with the features desk at Dawn.com in Karachi. this is an ugly reality of early capitalism in the world. I solute USA where capitalism has ascended to a point where even a poor man can become rich. Very informative and Balanced article, the problem both labor and owner are non cooperative and without sense of responsibility . Recently, I had hired a local ' masee' to do domestic work, after 3 days she wants advance money, again and again, same , not working accordingly , finally fired her. Now I clean my own toilet. The Labor Gazzette example 779 shut downs - 78 : tells a tale. When labor were given powers, they misused it, opportunity lost, now you see abuse. Seems both can not learn to co exist . if they do not pay and treat the workes good, eventually there will be no new employees in the business and as a whole these companies and the country as whole will go down and suffer. Pakistan business need to learn how to compete in the modern world. Well done jahanzeb and co. for putting up this well documented and empirical feature. This is an all-too-well-known exploitation of workers that has lasted for over 4 decades and remains deeply rooted. And it seems the masses dont care since they are superficially caught up living in a spectrum that has advertising-induced consumption on one end and self proclaimed evangelism at the other. But i hope those with some degree of morality reading this feature will ethically question the glamourous fashion outlets in our country and wake up to the need and purpose of unions. You cannot have implementation of the law to protect workers rights in any given society until the common worker doesnt start to become the legislator or the implementor. In then mean time its factory owners themselves that remain the lawmakers, legislators and implementors irrespective of their political affiliation. $29bn Bangladesh garment Exports in FY 2015-16 with a 10.21% growth from the previous year. And millions of workers are paid just pennies for their hard labor - be it in Pakistan, Bangladesh, Philippines or Haiti. While the same garments retails for hundreds or thousands of dollars, or more. That's the sad truth and ugly reality behind the fashion world. Behind the glitz and glamour of the textile products there are blood ,sweat and tears of the labourers . You have just shown the tip of the iceberg . I have managed the finance and taxation of a few of them .Huge profit ,tax evasion ,labour discrimination in cahoot with Labour deptt, SESSI ,EOBI is a normal practice.There are many more unlawful practices . One of the unit i was working ,the stitching deptt was all female .The owners would ogle over the CCTV all the time .Feel ashamed to be a part of these at this point of my life . I wish Dawn would interview some senior finance guy from this industry ,they know the actual hanky panky of these Seths along with the Goct deptts. These practices are pretty common in industry. The real culprit here is the government. They turn a blind eye to the workers plight. I think there is a typo error 'Bureau Veritas'.....made 400 billion Euros last year in revenue'. It hink its not 400 billion euros. situation is still far far better than bangladesh. If they earn 400-800 a day, that means their monthly income would be between 10000-22000 rupee and government minimum wage is rps 14,000. In bangladesh government minimum wage is only 5000 taka. Most factory owners try to give less than that. and there are numerous accidents every year that kill hundreds of people in this sector. this contract system is even worse in bangladesh. In pakistan they are getting at least some sort of card to hold. But, in Banladesh no cards, no register. wage is monthly. No hourly income. and if these pakistani companies come to bangladesh and they give payment on 'piece' basis, I bet every local worker will run for them. in fact, often workers here demand of working on 'piece' basis but in vein. 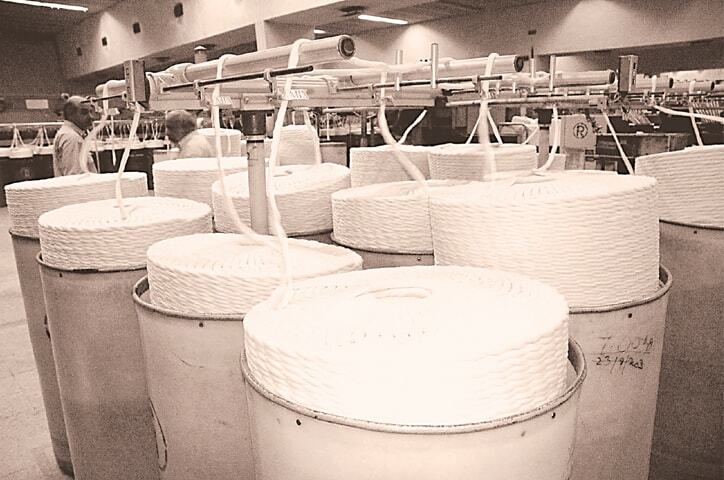 it's not just the textile industry. Many so-called Multinationals working in Banking and Telecommunications too have resorted to the same practice. Even managerial staff are now being hired on third part contracts - Some of the third party contractors also provide medical insurance however that the benefits, insurance is nothing as compared to 'permanent' or 'regular' staff. Some of them remain on probation for up to a year! Apart from the corruption another huge problem is that there isn't much new investment coming in. So such companies, textile industry etc who are still 'around' use that as a leverage over the government to ensure that they are not penalised for such clearly illegal labor practices. @majid malik The US has the worst level of inequality between the poor and rich in the world. Things are bad in Pakistan but they are far from ideal in the US. @M. Emad how much better were the labor conditions and factory safety standards? Has Bangladesh made any moves to diversify exports in higher value goods? Pakistan needs to diversify and move towards producing higher value tech goods like the bigger countries in our neighborhood like India and China. Time to rely on textiles and garmetnts are done. I wish all factories would give shares in the business to their workers. Well done to writer n Dawn to bring such horrors to light.we need to correct these criminal errors on priority basis. 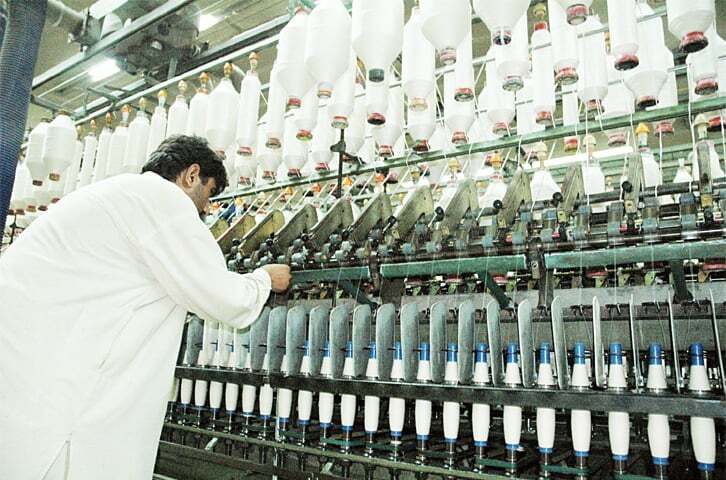 To the best of my knowledge around 70% to 80% of the export oriented garment or textile industries have already been shut down in Karachi and Lahore as foreign buyers have stopped visiting Pakistan since long rendered thousands of people jobless.this factories are at least providing butter and bread for few people. @Naveed I work in Haiti. In Haiti, the workers for assembly business for export, are legally paid less than the workers for local market. The international garment industry holds hostage most of the countries with poor, uneducated workers. When I first came Haiti, some over twenty years ago, we were clearly warned not to overpay the workers so that the country does not become uncompetitive! Now this is what we call investigative journalism! Excellent article.!! Pakistan is loosing badly on textiles made-ups. and our major issue is compliance. After the Rana Plaza incident foreign brands raised up their bar for compliance and unfortunately majority of the factories in PK are slowly being wiped out. All across PK there are hardly any factories left who are doing business for good brands. Owners give lame excuses that there are issues from the govt. side but did the industry developed itself unfortunately NO! We are way behind BD and other countries, we lack in quality, productivity and compliance. Over these years we can only stitch bottoms and Home Textiles as compared to BD. We cant make garments out of fabric of finer counts like shirts etc. where as BD is doing that although they import fabric. It is a very sad state of affairs. A sad story of exploitations by the rich. Government help is needed and unions must be allowed to function to protect workers. I have worked in UK and was Branch secretary with excellent relations between management, workers and the union. factories are meant for production, these are not welfare institutes , thus it is the productivity of workers that determine the wages and perks. skilled workers who deliver good productivity earn beyond ordinary levels. besides the old advertisemen of karachi export processing zone, on front pages of national dailies speak the highest degree of truth on the issue. the first feature which was always highlighted was PRODUCTION ORIENTED LABOR LAWS. what does it mean, simply the government of paksitan itself admits that the labor laws in the rest of the country are not production oriented. has any body simple calculation that how many workers get how much benefits out of the total amount collected by social security institution and employees old age benefit institution ??? according to my rough estitmate it is not even 10 percent, on the yearly basis. Well Researched article by the author! Thank You for highlighting a problem hidden in plain sight. A productive employer employee relationship requires conducive legal environment. A good legal environment means having a strong and balanced formulation and enforcement of laws. This is part of good governance. How can we expect good governance when MNA/ MNA are not interested in legislation and are more interested in allocation of 'development' funds? Too painful to read in its entirety but going through half of it makes me sad. I would hope more reports of this nature would improve the conditions of the working men and women. I bought a bed sheet set for a twin mattress yesterday of excellent quality in Chicago and was happy to note it was made in Pakistan and today I get to read this report! One would hope that Civil Society takes notice of these working conditions in the textile industry. A very good article. Please write something on the Pakistan Textile City Project, Bin Qassim Karachi, which is going to be shelved very soon. This only tells one side of the coin, as the phenomenon of replacing permanent workers with contractual workers is rampant accross the various industries in Pakistan. This is because once you make labourers permanent they make unions and then their demands keep increasing. However the biggest culprit in this whole situation are the many many government departments whose job is to balance the right of the workers and the owners but they only want money from the owners and are least interested in carrying out their duties. It would have been a far more balanced article if the author had gone to the troble of visiting companies where workers are permanent (in a textile company) and teh company is growing and giving good returns. The story started with khaddi and ended with certification..which are two different stories.. Khaadi is a local brand producing for the local market and for local customers, where there is no concept of ethical business principles and the brand have no ethical code of conduct, while other textile manufacturing units who are supply to forigen brands are having ethical code of consists and are being regularly inspected and checked by the brand's and certification bodies..the level of dissatisfaction among workers in Pakistan is very less then the other countries in the region like Bangladesh, India and even srilanka because of the wages rates and amicable working environment.. Pakistan has the highest minimum wage rates in south Asia.. There are lacking in in situational capacity for implantation of laws and regulation but that doesn't mean nothing is happening in industries.. This story is not having substational non complaint practices except aligations of some formar employees. Sounds like a great plot for a Grisham Novel.